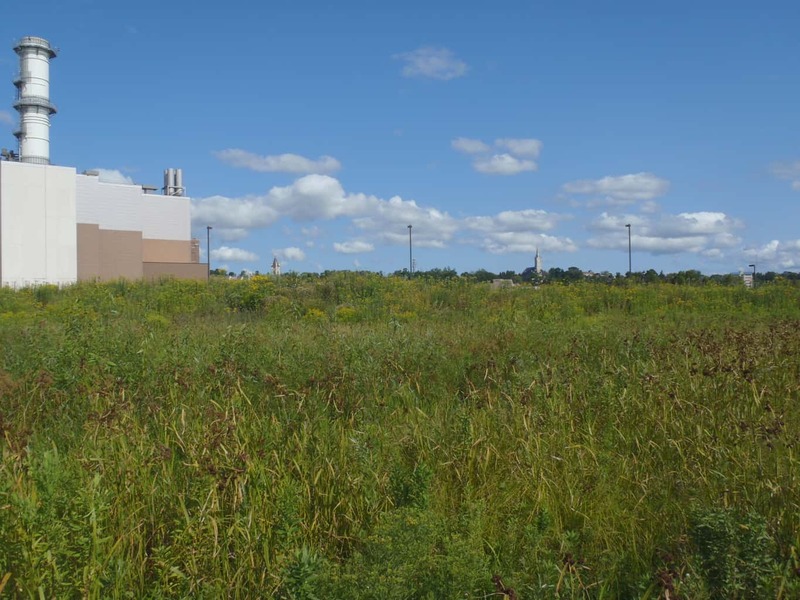 OTIE ecologists prepared final restoration plans for a 4-acre mitigation site along the Lake Michigan shoreline. 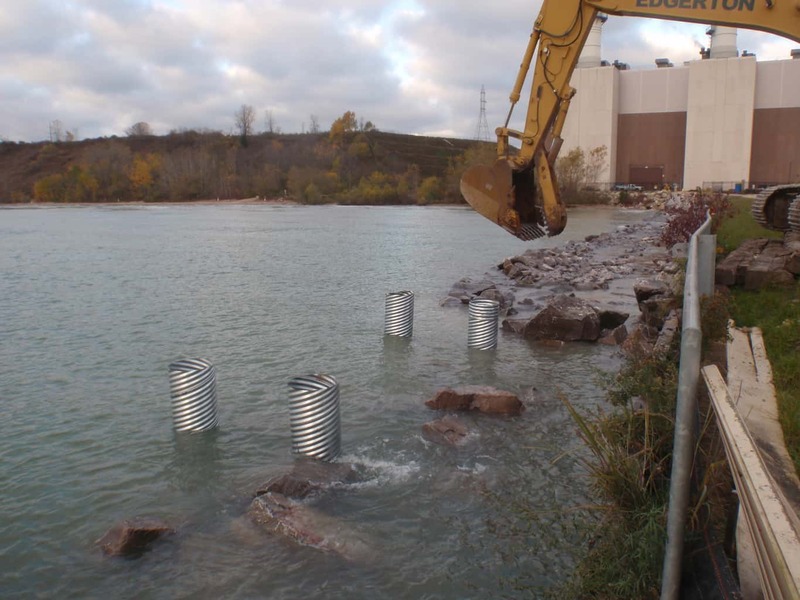 The mitigation was required as part of the new intake structure constructed at the Port Washington Generating Station. 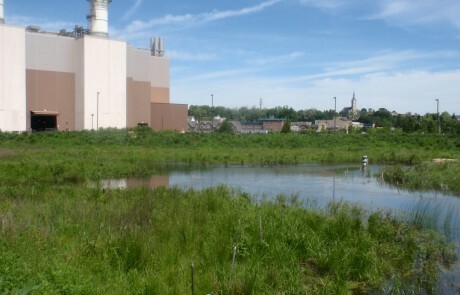 The restoration site included areas of open water, deep marsh, shallow marsh, wet meadow, and adjacent upland prairie. Additionally, the overall site also included a walking trail, fishing platform, and shrub plantings around the perimeter of the restoration area. 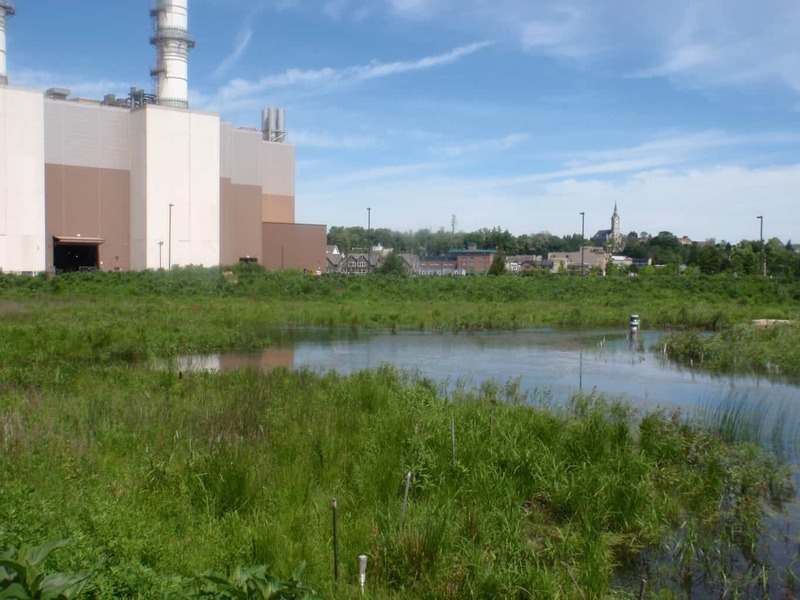 The site hydroperiod, planting regime, and adaptive management strategy were selected to provide stopover habitat for migratory birds as well as breeding and foraging habitat for native shore birds. Over the past 6 years, we have performed yearly assessments of bird usage and vegetation cover and compared those with the observed hydrology of the site. We then recommended a hydrologic regime for the site that is within the parameters of the Compensation Site Plan. 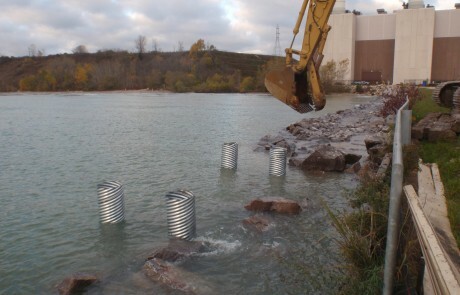 This site is unique in that water elevation can be controlled by pumping lake water into the site or draining the site through a designed weir that contains a series of stop logs. 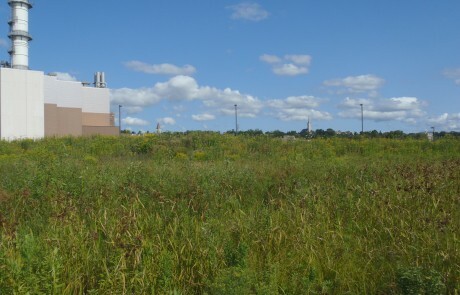 OTIE is currently providing annual monitoring services for the site, coordinating invasive species management with the various subcontractors and providing annual reports to the Corps of Engineers. Deliverables included initial and yearly qualitative vegetation assessment, final restoration plans (including grading, seeding and planting), and preparing and submitting annual monitoring reports. Other tasks that have arisen during the post-construction monitoring period include preparation of federal and state permits for an emergency seawall repair, preparation of supplemental seeding and planting recommendations, and oversight of installations.